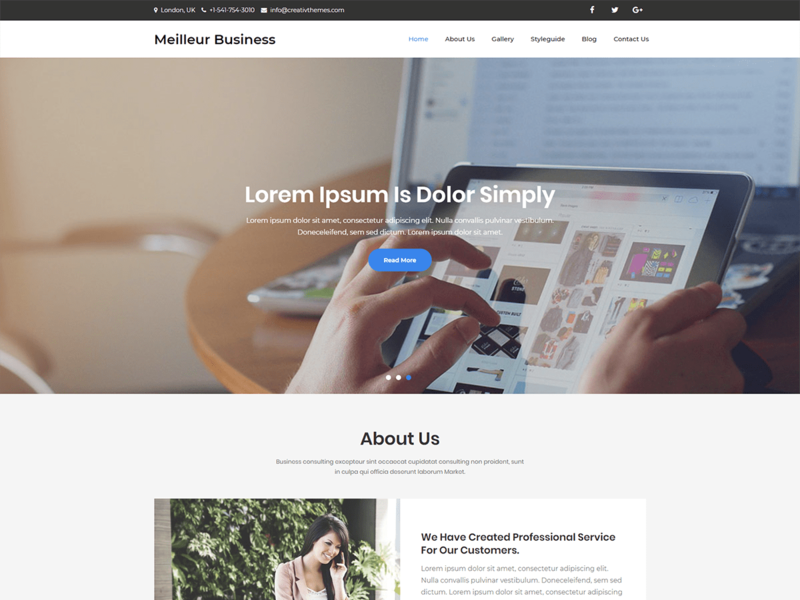 Meilleur Business Free is a stunning, professional and flexible Business Consulting and Investments WordPress Theme based on Strong researches into the field of Business, Consulting and Investments. This theme specially designed for professional Consulting and Finance industry, Financial Advisors, Insurance Brokers, Accountants, Lawyers, Finance Firms, Consultants, Investments Consulting Services, Advisors, Investment Experts, Trading and Investments, Technology Consulting, and Business Development Agencies, or other Finance and Consulting related businesses. * Updated client testimonial section items. * Updated client testimonial section responsive. * Updated featured slider and our services item max limit. * This version increases maximum number of clients feedback items to 3. * This version fixes responsive design for clients feedback section. * This version provides more features for featured slider and our services section. The items max limit of slider and services are increased to 3 and 6 respectively.